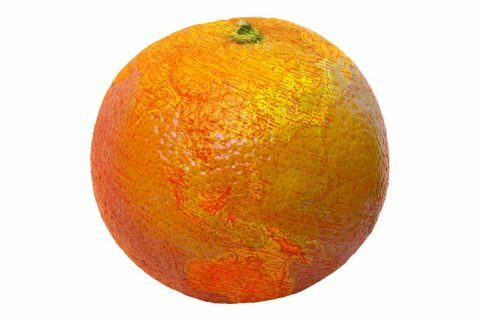 (Almost) every week, I select an orange wine (a white wine made with extended skin contact) that grabbed my attention. View the whole series here. 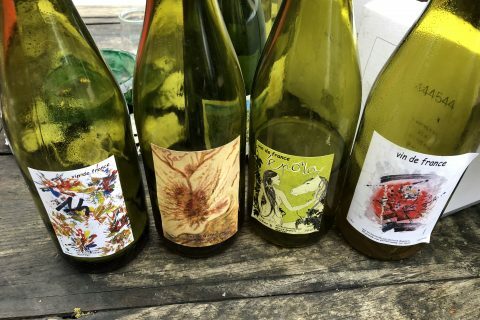 I’ve just returned from an inspiring if exhausting week in Portugal, culminating in the joyous riot that is Simplesmente Vinho – the artisan wine “off-salon” started five years ago by João Roseiro and friends. This year’s 84 producers came not just from every corner of Portugal, but also overflowed into Spain. 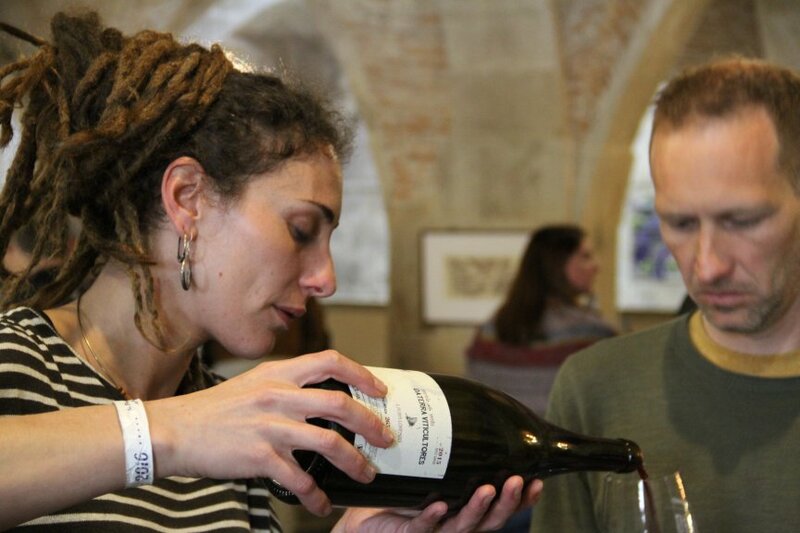 Busy wine fairs can be challenging. Where to go, what to taste? Did I miss something mind-blowing amidst the crowds? On cue, a tall and rather statuesque lady with impressive dreadlocks grabs my attention. I offer my best/only Portuguese “Posso provar os vinhos brancos?”, she retaliates with a stream of Spanish. I catch the word “Galicia” and little else. We negotiate a passage to the safe waters of English. 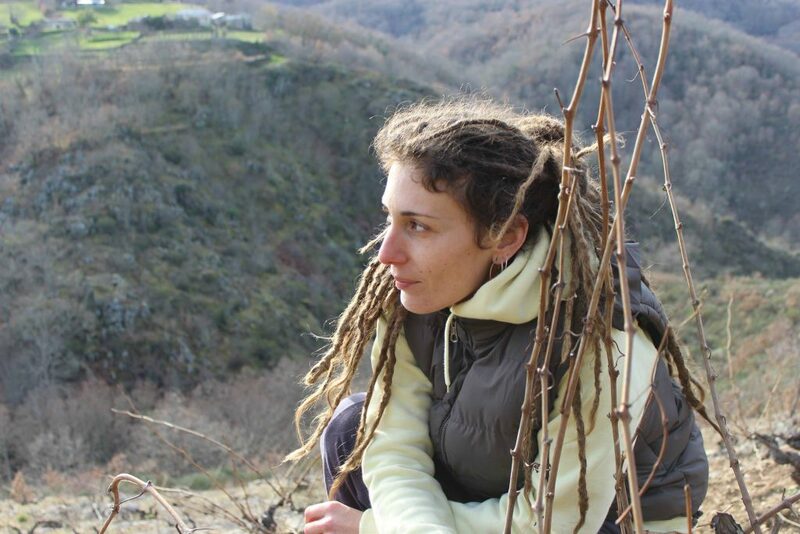 The dreadlocks belong to Galician Laura Lorenzo, ex-winemaker and viticulturist at Dominio do Bibei, and now owner/winemaker with her own small operation Daterra Viticultores since 2013. Laura fell in love with the Valdeorras area (a small DO near Manzaneda) while working at Bibei, and decided not only to live there permanently, but also to start her own project. 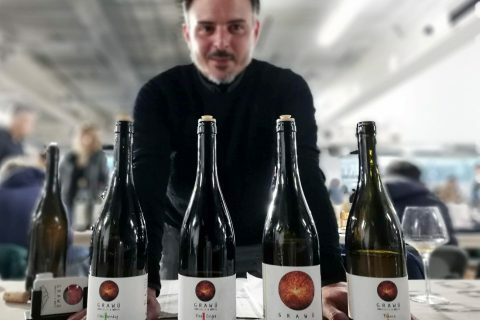 The Daterra range includes enjoyable Godello (“Alto Olia”) and Mencia (“Casas de Enriba”, “Portela da Vento”), sourced from rented vineyards, but it becomes clear that these are not the wines that Laura really lives for. When I ask about how much Mencia there is in Ribeira Sacra, she cringes “too much – it’s a problem”. 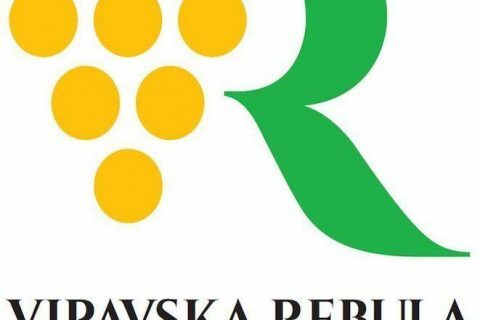 Planting a new Mencia vineyard comes with a generous EU grant, whether the variety is really suited to the area or not. Lorenzo’s pride and joy is a precious few hectares of old vineyards that she’s managed to purchase from old-timers over the last two years. Here, 100 year old vines are planted mostly with field blends, containing many obscure treasures no longer allowed in the DO regulations. My hands-down favourite is Gavela de Vila 2015, made from all of the Palomino lurking in the old plots, fermented for a week on the skins, then aged in used oak for nine months. Yes, the same humble Palomino that forms the basis of sherry. As received wisdom has it, low in acidity, and not very interesting without the flor or the oxidative ageing. But Gavela de Vila delivers it with considerable panache – spicy green plum and apricot, juicy and silken textured with a long finish. It’s youthful, fresh and lively enough to qualify as a vin de soif, but with the backbone and finesse to be able to age. Erea da Vila 2015 is produced in similar fashion, only with a co-fermented blend of all the other white varieties (Godello, Dona Blanca, Colgadeira). Surprisingly, it achieves nothing like the same interest or depth as its mono-varietal cousin. 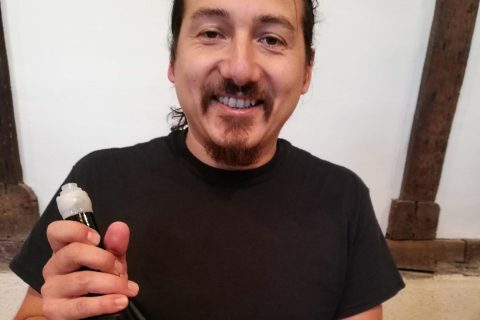 Lorenzo confirms that every household used the skins in white wines for their own kitchen table, though the method was sidelined as commercial winemaking developed post-war. As in most parts of the world, the mid/late 20th century idea of white wine became crystal clear, water white, youthful and fresh but little else. Amen to this “dreaded” Palamino which not only pays its respects to the region’s traditions, but also achieves so much more in the process. Right now, you can find Laura’s wines on sale in Spain, Germany and the US. Gavela de Vila is about €18 in the EU, or $30 in the US. In the UK, contact Carte Blanche Wines who are the importer. I love field blends when I come across them, so rare. They have a romance to them. Portugal is your country in that case. Still many field blends being made in the Douro & the Dao (to name but two regions) – it’s pretty much impossible to make anything else if your vineyards are more than 50-60 years old. Oh, great, will have to check that out. Love Portugese wines. Laura has vineyards in both DOs, and as far as I understand is living in Valdeorras – which is indeed the area she fell in love with. 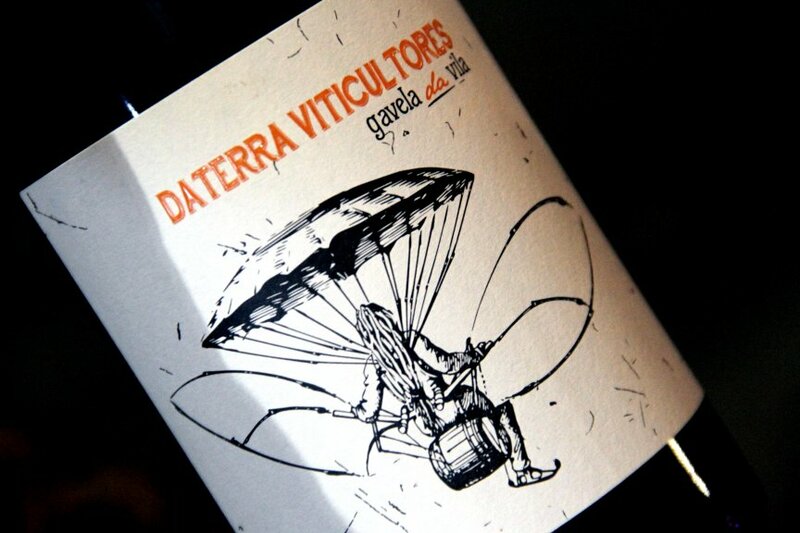 She describes Daterra herself as “Viticultura De Montaña en Manzaneda,Val do Bibei, Ribeira Sacra; e Portomourisco, Valdeorras”. She does acknowledge the confusion! Laura’s operation is head-quartered in Manzaneda, in the heart of the Val do Bibei, which is a sub-zone of DO Ribeira Sacra. She also has some vines in Portomourisco, true, but, to my knowledge, most of what he does now and what he did before with Dominio do Bibei was definitely Ribeira Sacra. These are neighbouring areas and boundaries are not always clear-cut. You could actually say she does field blends as much as she does “DO blends” (not sure this would be politically correct though :D). Anyway, by reading your post I just had the impression you gave all the credit to the Valdeorras area. No big deal. Excellent post anyway. Congrats! No, I was just trying to tell her personal story – as she told it to me. But I fully admit I got hopelessly confused about the different DOs and Laura’s range of bottlings. I think a visit is long overdue, and then maybe I’ll understand it all a bit better.